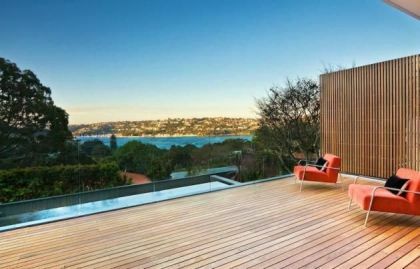 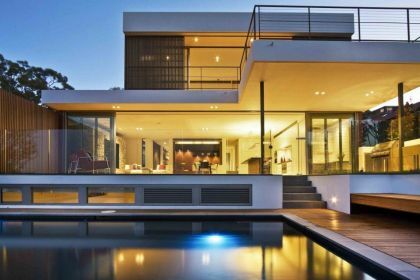 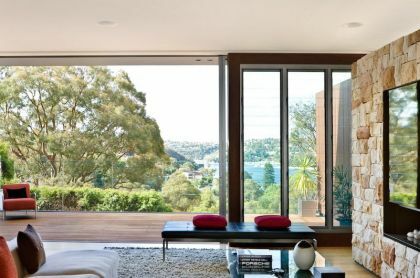 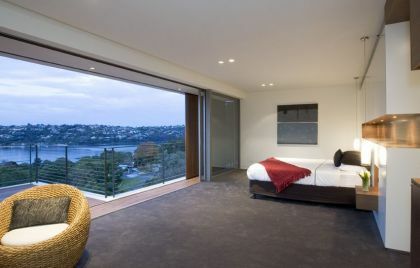 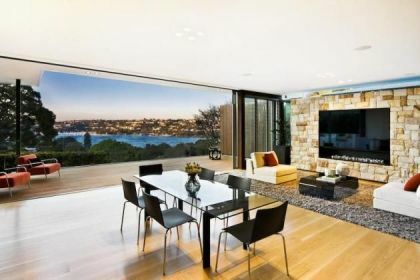 Description from the architects: This new, three storey, four bedroom, north facing residence, sited on a battle axe block was designed to take maximum advantage of outstanding views over Middle Harbour and maintain absolute privacy to the adjacent neighbours. 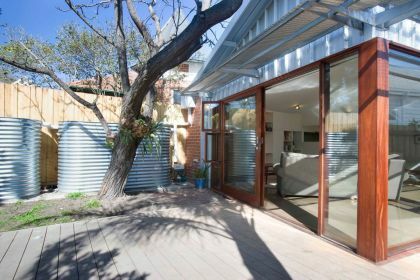 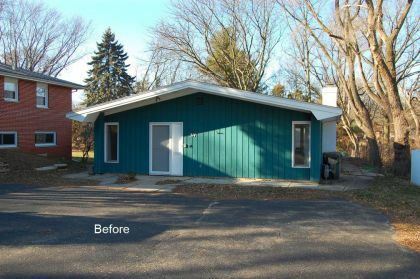 The building replaced a small older style single level house and had to be skilfully designed to adhere to Council’s view sharing policy and ensure minimal view loss to the neighbours behind. 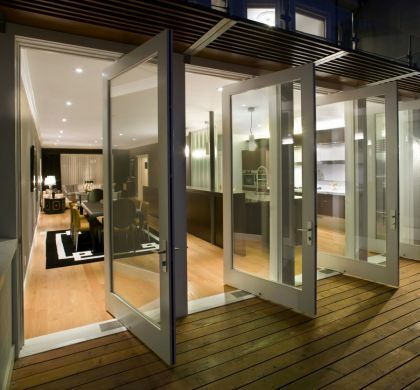 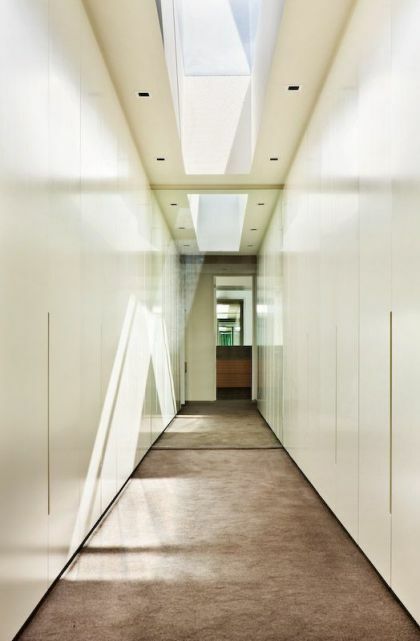 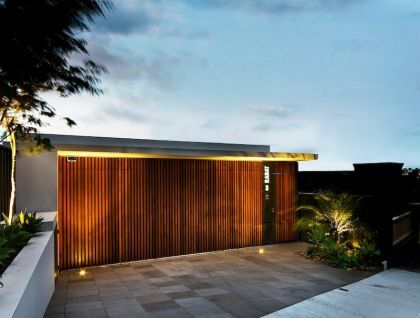 The development is concealed behind a timber battened garage door and metal framed entry gate to the street but then reveals itself as you enter the site. 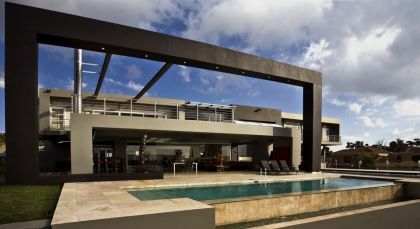 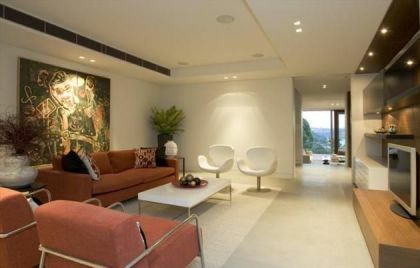 The main entry, two living areas and guest wing are located on the middle level with three bedrooms on the upper level, the main one designed as a luxury suite. 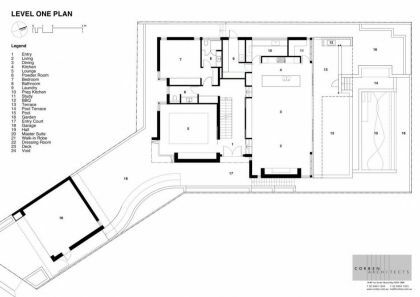 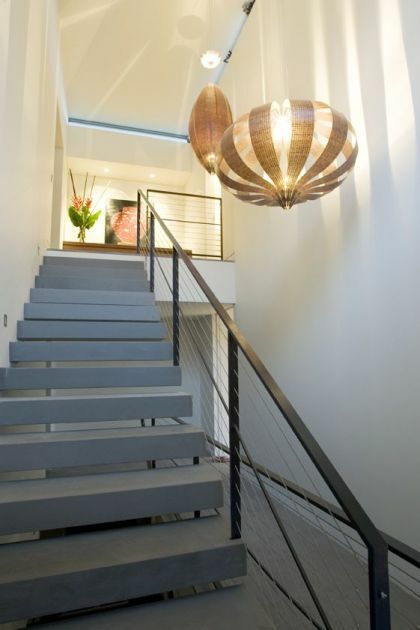 The lower level incorporates a large rumpus / media room and store areas. 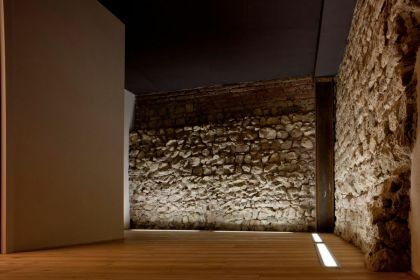 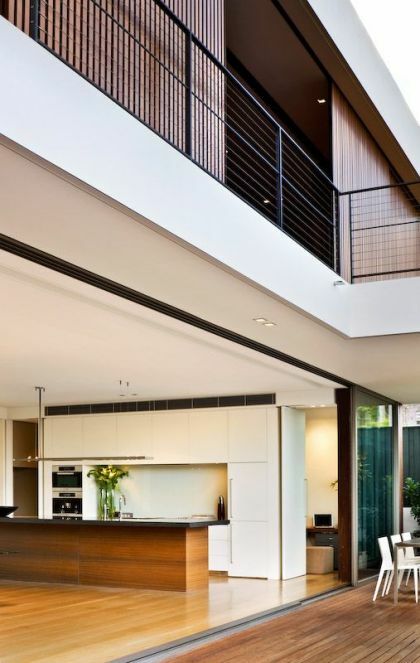 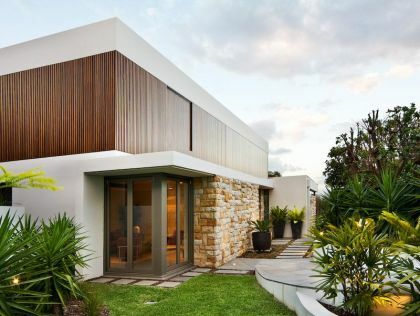 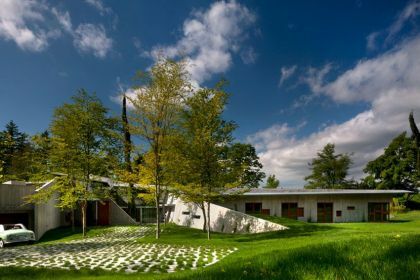 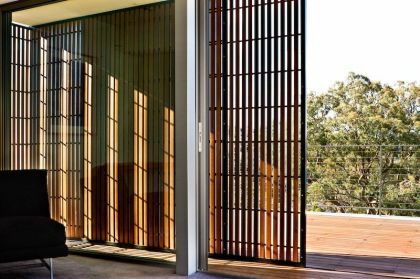 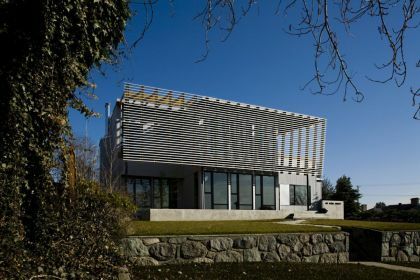 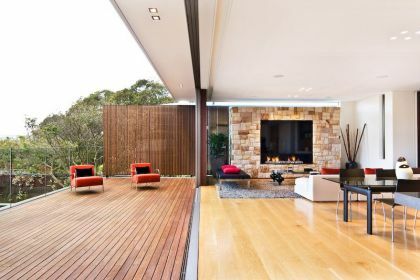 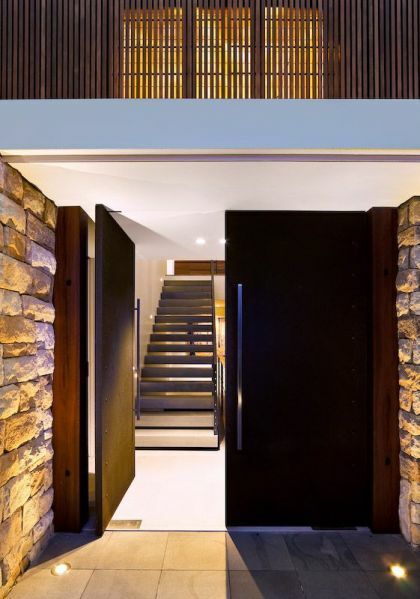 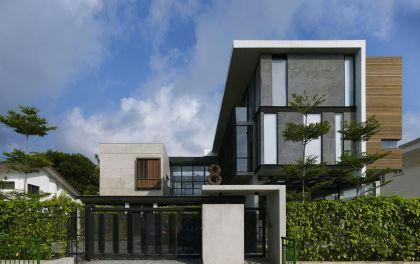 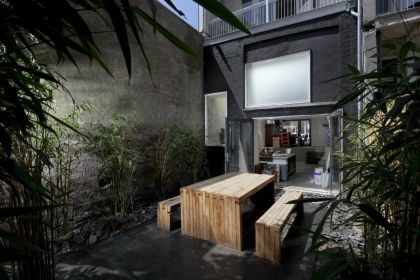 The building is a simple rectilinear form of concrete and masonry construction, carefully layered with timber battening and sandstone cladding to present a modern home with a focus on natural materials and clear design principles. 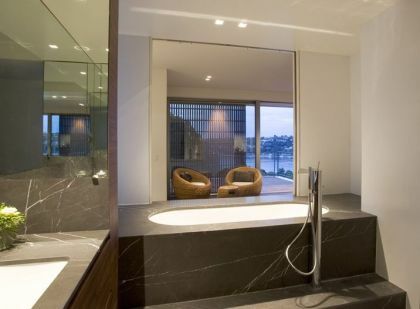 The interior finishes incorporate American Oak timber floors to the living areas, Serena Grey honed stone floors to the circulation areas, Capricorn Walnut veneered joinery, white polyurethane cupboards, Raven Caesarstone island benchtops and Nero fossil stone slabs in the bathrooms to create a contemporary, sophisticated interior with a warm inviting feel. 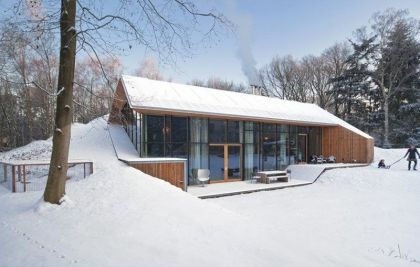 Energy saving options were adopted including an operable skylight over the central core allowing natural light and ventilation, timber slated screens provide sun control, concrete floors and roof to provide thermal mass and low E glazing to the external windows and doors. 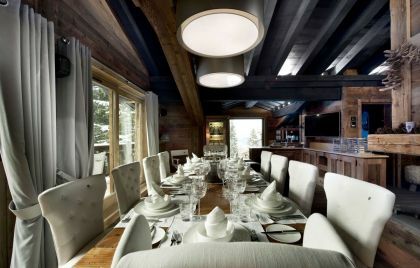 The Petit Chateau, a Luxu.. 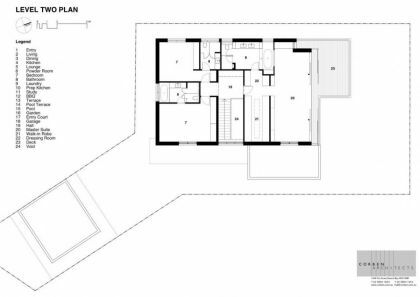 The project brief was to add a new floor to an existing 1954 bungalow, which is situated in a post war suburban neighbourhood in the city of New Westminster, BC.